Books and Poetry – WHAT SHOULD I READ NEXT? Michael Dunn was found GULITY of first-degree murder in the killing of 17-year-old Jordan Davis in September, 2012 after an argument over loud music. The jury took about 5 hours to reach a verdict today. The bass from loud music playing in the teens’ SUV started to shake both cars and bother Dunn, who asked for it to be turned down. Front seat passenger Tevin Thompson initially complied, but then Jordan Davis objected and Thompson turned the music back up. According to the other teens, Davis and Dunn continued to talk to each other. Meanwhile, Stornes returned to the vehicle. According to Dunn’s testimony, Davis threatened to kill him, then opened his car door and pointed what appeared to be a shotgun at him. Dunn, who had a concealed weapons permit, took a handgun out of his glove compartment and started firing at Davis’ door, hitting him in the legs, lungs, and aorta. As the SUV backed up to evade his gunshots, Dunn opened his own door and continued firing at the car, later testifying that he still feared for his safety as well as that of Rouer, who was to return to the vehicle imminently. Contradicting Dunn’s account, investigators later searched the SUV and found no weapons. Davis’ friends testified that he couldn’t have opened his door because the child lock was set. Contrary to Dunn’s claim that he mentioned the shotgun to her several times, Rouer testified that he never mentioned a gun either that night or the next day. After the shooting, Stornes drove the SUV a short distance away to a nearby parking lot and stopped to find Davis “gasping for air.” Rouer returned to Dunn’s car and they went back to their hotel where they ordered pizza and drink wine. Dunn did not contact the police. 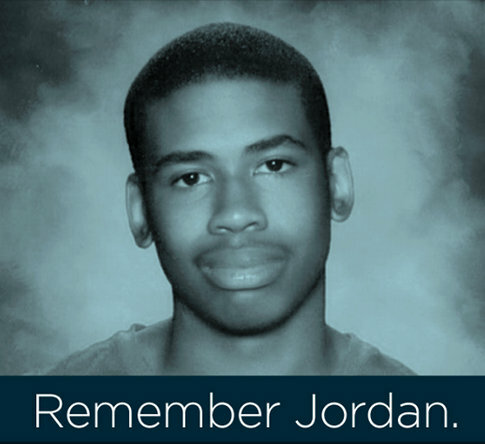 The next morning, Rouer saw a report about the shooting on the news, indicating that Jordan Davis had died. At her request, the couple abandoned their prior plans and headed straight home. On the drive home, Dunn testified he called a neighbor who works in law enforcement to arrange to speak to him about the shooting, but phone records indicate that the neighbor actually called him, and Rouer testified the shooting was never mentioned during the call. The neighbor was not law enforcement but in fact a dept. of parks and rec’s employee. Dunn was home in Satellite Beach the following day at 10:30 a.m., where he was arrested, his license plate having been reported to police by an eyewitness. After the jury was unable to return a unanimous verdict on a charge of first-degree murder, the judge declared a mistrial on that count. However, Dunn was convicted on three counts of attempted second-degree murder for firing at three other teenagers who were with Davis and one count of firing into a vehicle. None of the other teenagers were injured. A jury deadlocked in February over whether to convict him of killing Davis. He was convicted on three counts of attempted murder for shooting at Davis’ friends in the car. Dunn testified at this month’s trial as well as his last that he killed Davis in self-defense after the teen threatened him. He also said he thought Davis had a gun, but no weapon was ever found. The jury did right by finding Dunn GUILTY!!!! 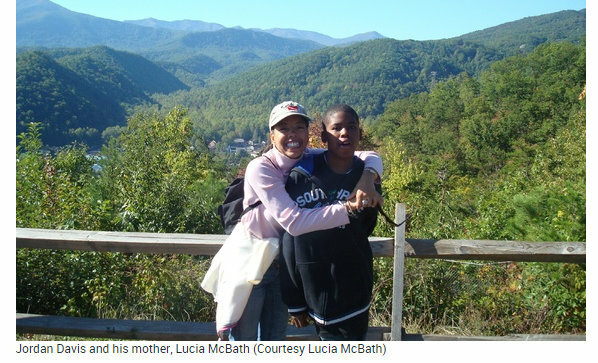 Last Friday, I called Jordan Davis’s mother Lucia McBath. It’s been almost two years since her son was murdered by a man who took offense to his music. The murderer was Michael Dunn. After shooting the boy, Dunn drove to a motel with his girlfriend. He ordered pizza. He mixed a few cocktails. Then, the next day, he turned himself in and claimed that he was defending himself against a shotgun-wielding Davis. No shotgun was ever found. In his first trial, Dunn was convicted of attempted murder, for shooting—unjustifiably—at Davis’s friends. 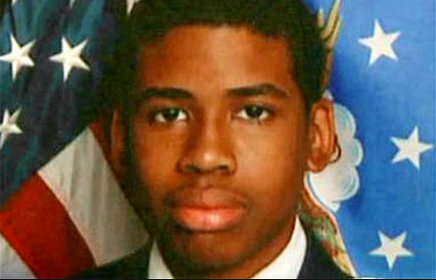 He was not convicted of murdering Jordan Davis after the jury deadlocked. The state of Florida retried the case, and this time convicted Dunn of first-degree murder. McBath and I had talked twice before and each time I’d found her to be a woman of direct and open feeling. The first time we talked she cried as she recounted the life of her lost son. The second time she stood before my son and insisted that he mattered, though all the powers of the world might tell him different. With wild theories of phantom shotguns now banished, I wanted to know how McBath felt and how she was filling the yawning space left by her departed son. She told me that she’d taken the energy that she’d once put into child-rearing and given herself over to activism. She has set up a scholarship fund in her son’s name. She is working with President Obama’s My Brother’s Keeper initiative. McBath spoke about the need to inculcate our young with certain values and morals. But I knew that she had taught those same values and morals to her son. And they had not saved him. Davis hailed from the striving class of America. He grew up with all the comforts and possibilities that black people associate with Atlanta, where he was raised, and which Americans at large associate with middle-class life. And yet African Americans raised in such circumstances understand that in so many ways they are not that far removed from the block. Many of them are just a generation away, and they still have cousins, brothers, and uncles struggling. Their country cannot see this complexity, and thinks of the entire mass as the undeserving poor—which is to say, in the language of our country, criminal. JACKSONVILLE, Fla. — Michael Dunn, convicted of first-degree murder for fatally shooting Jordan Davis in an argument over loud music outside a Jacksonville convenience store has been sentenced to life in prison without parole. 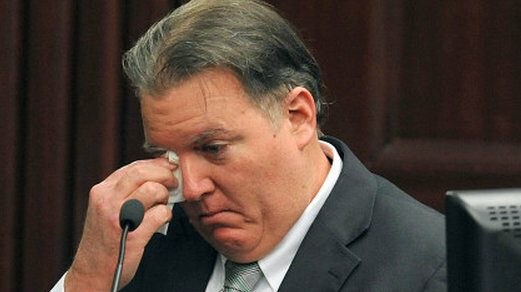 A life sentence was mandatory for 47-year-old Michael Dunn after prosecutors did not seek the death penalty. Dunn was convicted of first-degree murder at a second trial in September after jurors deadlocked on the charge at his initial trial in February. Prosecutors say Dunn, who is white, fired 10 times into a sport utility vehicle carrying black teenagers in November 2012, killing 17-year-old Jordan Davis of Marietta, Georgia. At his first trial in February, Dunn was convicted of three counts of attempted second-degree murder for which he already faced at least 60 years. He claimed self-defense.